This cute pair of exotic earrings is simply a must-have for all fashion lovers. The adorable jewellery accessory will suit every personality, whether it’s an outgoing or a laid-back personality. 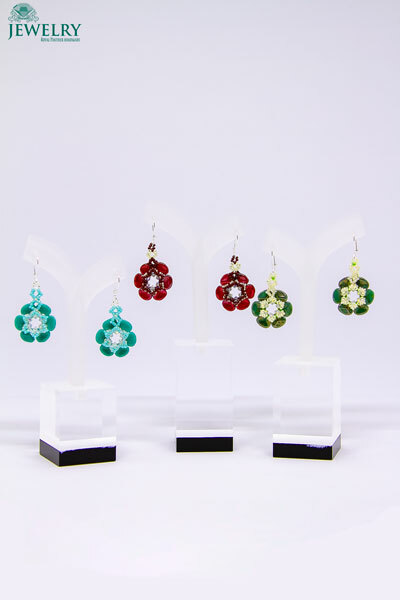 Theses earrings for women have been carefully designed in the form of roses and also includes Swarovski elements that give them a sparkling and shimmering effect. Rest assured that with these earrings, you will appear high fashioned and stylish to the admiration and envy of other women. 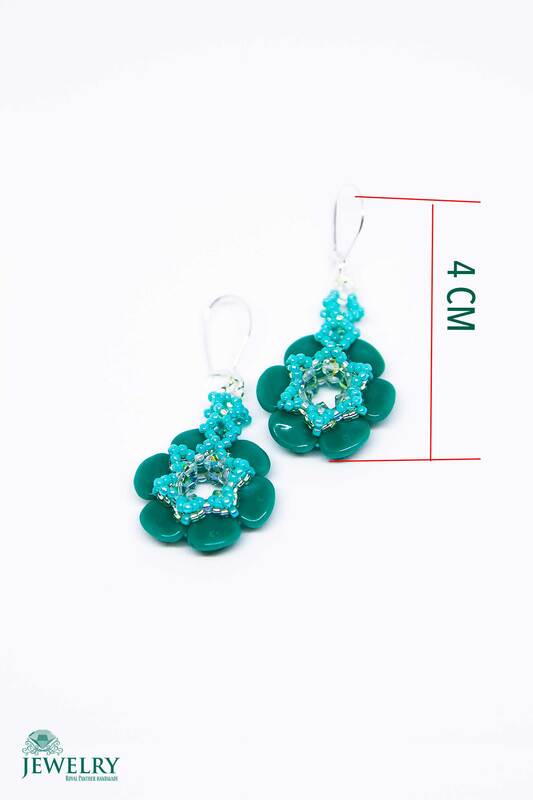 These earrings for women, which are available in three different colours (Persian Turquoise, Burgundy, and Green) are also made with top quality material that can last for a very long time. It’s also one of the most affordable, excellent quality earrings that are available in online jewellery stores. After all, we all love to buy great quality items at relatively lower prices. Don’t we? Furthermore, these trendy and fashionable earrings are quite versatile, and you can rock them in different styles, including a casual outfit while you are busy running errands on a day off work, a corporate attire and even with sporting attires while exercising. Above all, the enchanting earrings are safe and will not result in adverse side effects upon wearing them. The size of earrings included Sterling silver hooks are 4cm x 2 cm.